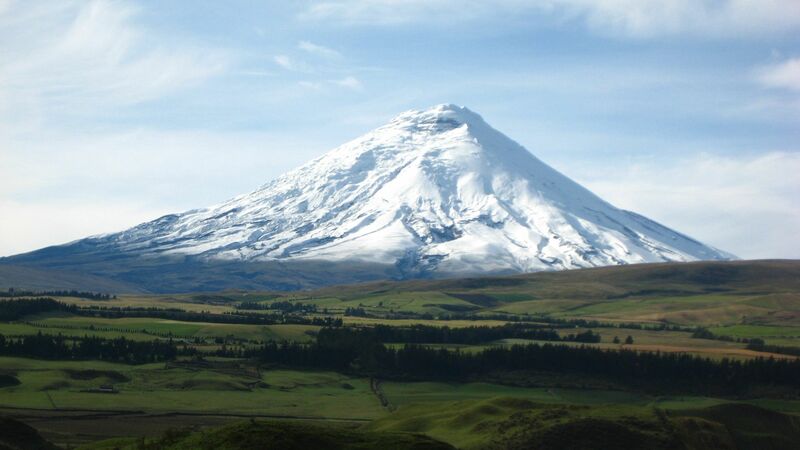 Symmetrical Cotopaxi is one of the most prominent volcanoes that line both sides of the InterAndean valley along Ecuador's "Avenue of Volcanoes." 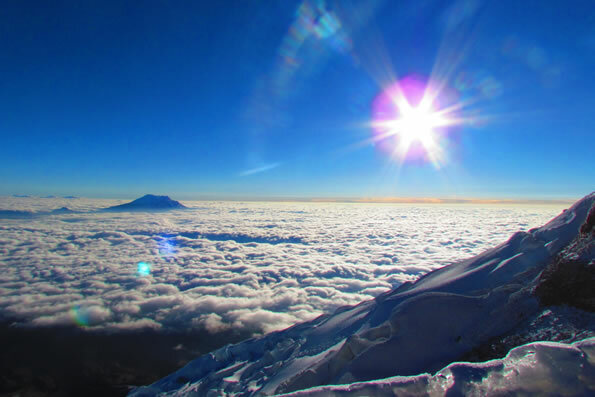 It is the second highest summit in Ecuador, reaching a height of 5911 meters (19,393 ft.) above sea level. 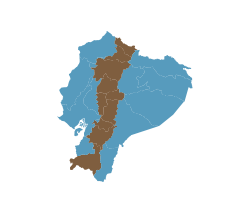 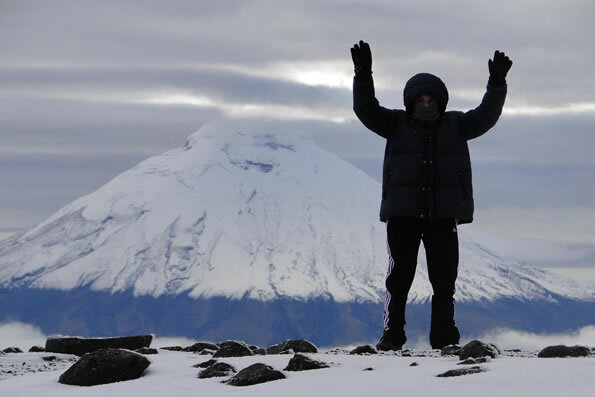 The mountain was honored as a "Sacred Mountain" by local Andean people for centuries. 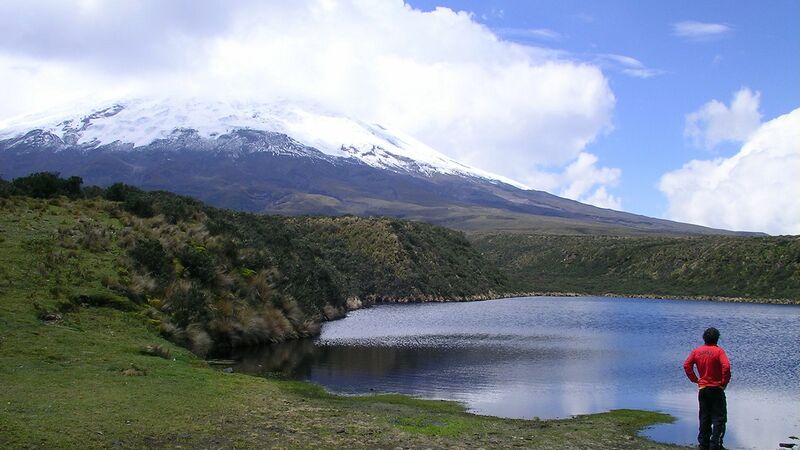 Cotopaxi, one of Ecuador's most active volcanoes, has produced more than 50 eruptions since the 16th century. 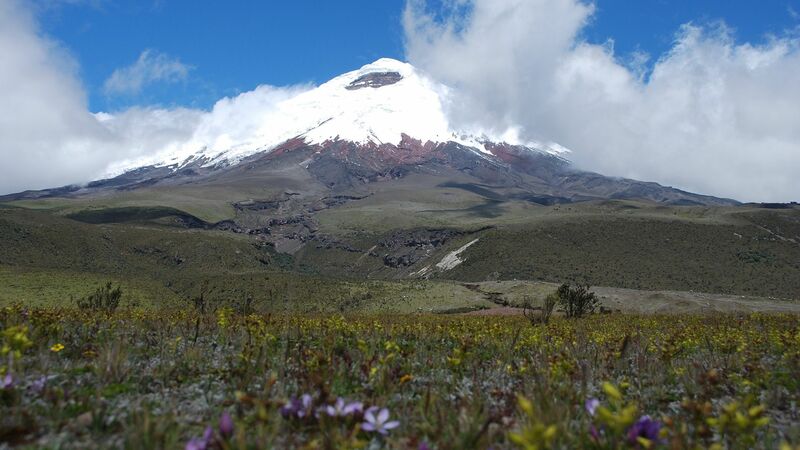 As one of the highest active volcanoes in the world, with a nearly perfect conical shape, Cotopaxi attracts more visitors than any other volcanoes in Ecuador. 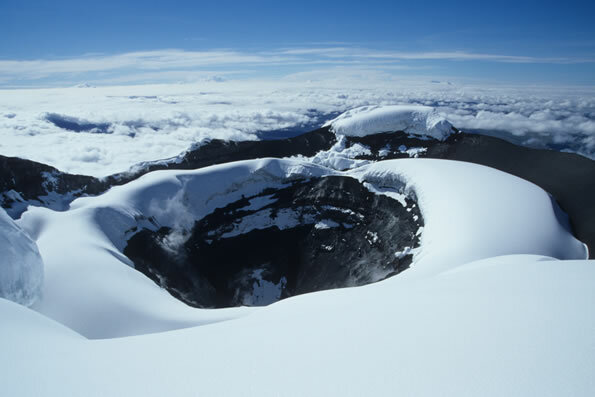 This is the classic volcano people imagine when they think of volcanoes.